This Spanish colonial style, handcrafted end table features luminous, hand tooled copper panels. 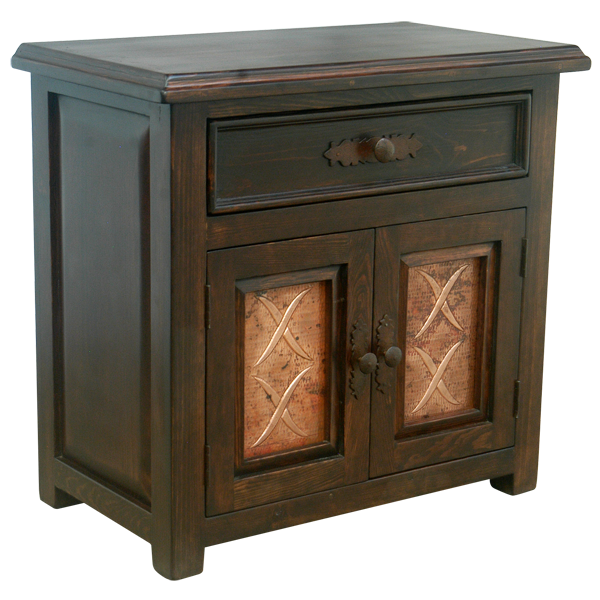 The front of the end table has two rectangular, cabinet doors adorned with spectacular, hand hammered and hand tooled copper panels. 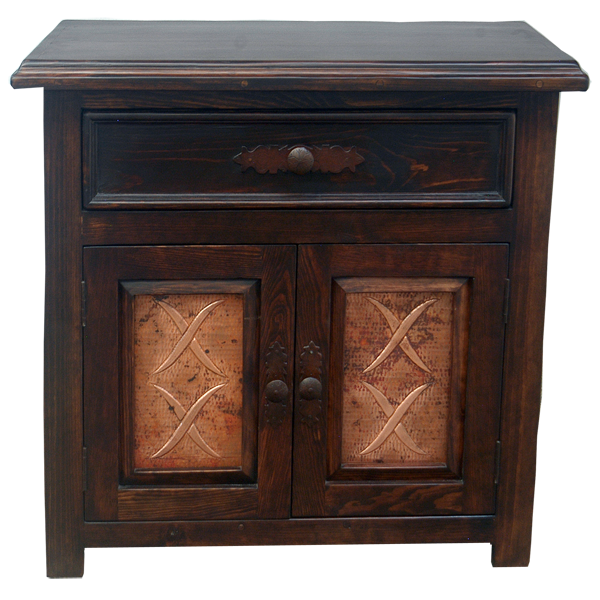 Each panel is adorned with a pair of diagonal X designs, and each cabinet door has a hand forged, iron pull handle. Directly above the cabinet doors is a rectangular drawer with a hand forged, iron pull handle. 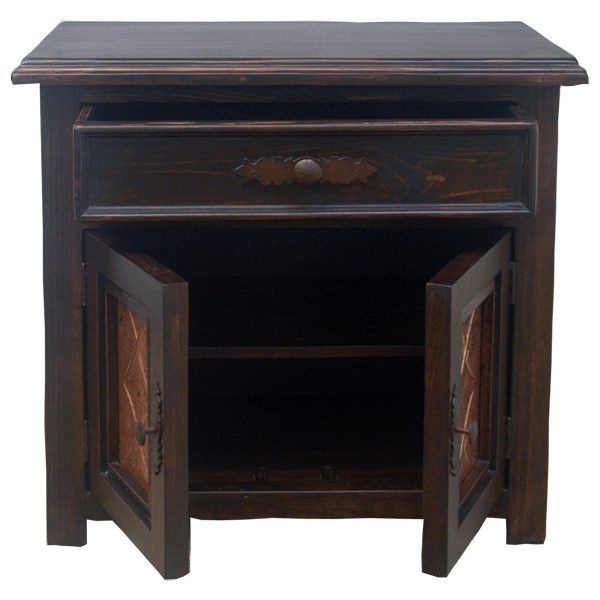 The end table has a wide top with a beautiful top rim. This custom furniture is embellished with a decorative wood panel on each side, and the end table is supported by simple, wood feet. This durable, custom furniture is made with the best, sustainable, solid wood available, and it is 100% customizable.